You are here: Home » All the Things You Can Think! All the Things You Can Think! Basecamp is a communication and organization software company that offers accounts to project managers to help them successfully monitor project status, which requires effective communication and efficient organization. 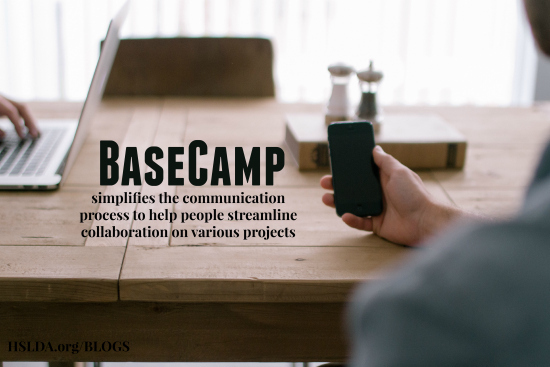 Basecamp software simplifies the communication process to help people streamline collaboration on various projects. This high tech tool will be a marvelous asset to any tech savvy mother willing to implement it in her homeschool. Beginning February 2014, Basecamp made the corporate decision to offer its product free to teachers, which includes homeschoolers. With a free account, mother and children can share files, have discussions, assign tasks, and check up on due dates. To establish a free basecamp account, first sign up for a free trial account. Then send an email to teachers@basecamp.com with your Basecamp username (or email address), the number of children you homeschool, and the academic grades that you teach. The company will make sure that you are not charged for this account. Although teachers can only use one free account, you can enter as many students as you need on that account. Students can only see the projects to which the teacher gives access. Consider how this one account could streamline homeschool assignments and paperwork. Signing up for a free account is a limited time offer, so don’t miss out on this opportunity. ← CLOSED | Honoring Our Veterans – GIVEAWAY and Membership Offer!